Ever since Donald Trump branded the news network CNN as fake news they continued to live up to the name. Check out the fact that you can’t get a job at ratings challenged @CNN unless you state that you are totally anti-Trump? Little Jeff Zuker, whose job is in jeopardy, is not having much fun lately. They should clean up and strengthen CNN and get back to honest reporting! The Left’s response to this tweet? They accused Trump of being incapable of handling criticism. In addition, the Left has even gone as far to say that Trump’s continued attack of the media is more proof of his inner “Hitler”. The claim he wants to control the media and what they say about him. Authoritarianism “expert” Ruth Ben-Ghiat notes, said that fascism starts with words. She insists Trump’s use of language and his manipulative use of the media as political spectacle are disturbingly similar to earlier periods of propaganda, censorship and repression. Sounds like sour grapes to me. The president isn’t shutting down these news organizations, despite all the lies the spew about him and his family on a daily basis. All Trump suggests is that reporting be truthful. Further, Trump’s complaints aren’t about the media’s schoolgirl antics, and tabloid journalism. The president’s complains about the blatant lies. Also, the media has no qualms about using sensitive information and purposely misleading the American people and the rest of the world about his administration. Recall the story last July when CNN fabricated news about a second Trump meeting with Putin. The media network lied about a supposed second meeting between President Trump and Putin. And in its journalistic malfeasance, they attempted to cover it up. CNN reported that a White House official confirmed the meeting. Further, CNN claimed the meeting to be nearly an hour-long meeting and came after a dinner hosted by German Chancellor Angela Merkel at the G20 economic summit on July 7. But in quintessential Trump, the president rightfully slammed CNN on Twitter. Next, recall the continued media attack on the president’s son, Donald Trump Jr.
Last year CNN put out a report that they presented as a “bombshell” in the Russia collusion conspiracy theory. The story claimed then candidate Donald Trump, his son Donald Trump Jr. and others in the Trump Organization received an email in September 2016 offering a decryption key and website address for hacked WikiLeaks documents, according to an email provided to congressional investigators. The story made it look as though the Trump campaign was colluding with Wikileaks and by extension, Russia. Turns out the report lied about the date and the time frame to make it look like something it wasn’t. 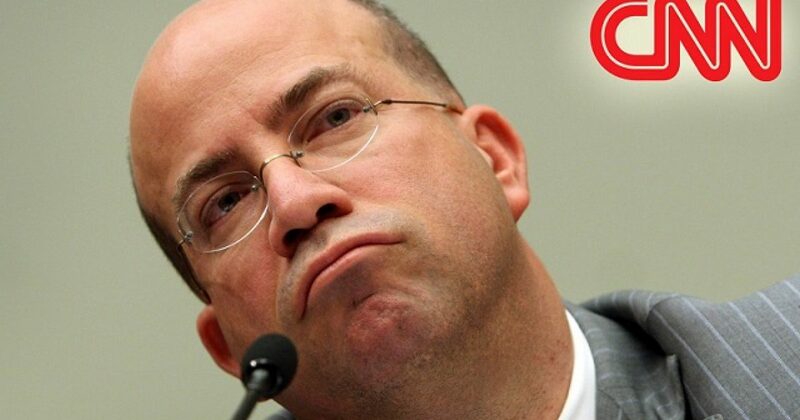 CNN were forced to apologize and print a retraction. And these are just a few examples. In addition to fabricating and making up stories that aren’t true several news media outlets have had to retract their stories and issues apologies. In other cases, they suspended or even fire reporters for their lies. Apparently what the media detests is that President Trump doesn’t roll over. Trump is a fighter, and he demands the media print the truth. The idea that he’s overly sensitive only explains both the media, and their favorite and America’s most incompetent president, Obama. Unfortunately, we will never know how the media would have treated Obama under the same circumstances. But most of America knows that the media would be exponentially more friendly to Obama than to President Trump. The latest polls bear this out. The media loses credibility daily. We have President Trump to thank for calling these clowns out. I remember when he first called the media fake news. I’m sure at that time, the media felt invincible. They figured the moniker would never stick, given their power. Truthfully, the media should thank President Trump. Trump makes them see the truth about themselves. If they heed his advice, the media may return to professional journalism. They might actually regain some of the trust of the public over time. However, if the media remains out of control as it is, they’d better hope the Jeff Bezos buys them all. Because the current lying media heads straight for financial disaster.